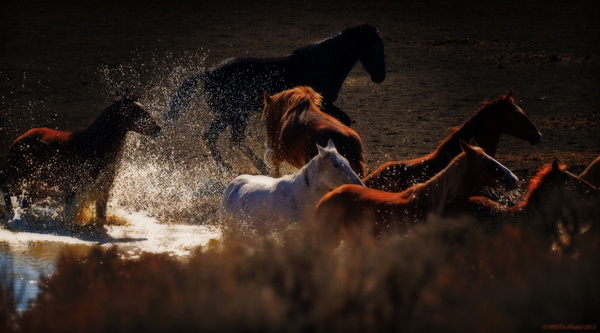 Photographer Jim Westin shares his romantic images of wild horses running free on public lands in Colorado. Jim Westin is a retired commercial photographer and self proclaimed “homeless-drifter” who has been wandering across the United States for the past three years, staying with friends and family and living out of his Toyota 4-Runner. Westin doesn’t have a horsey background, and in fact describes himself as a former city boy. Wild stallion, Corona, lives on the Sand Wash Basin Herd Management Area in Colorado with his band. While looking for new subjects to photograph, Westin met up with Pam Nickoles, a well-known photographer and horse lover located in Golden, Colorado who introduced Westin to the nearby wild horse Herd Management Areas (HMA), overseen by the Bureau of Land Management (BLM). Westin has been several times to observe the wild horses, spending all day watching them interact. “Something about them captures the imagination,” states Westin. He discovered an incredible passion and connection to the horses and their story. According to the BLM, the wild horses at Sand Wash Basin share the range with elk, mule deer, pronghorn, coyotes, bobcats, sage grouse, and a variety of raptors. In Colorado, the BLM oversees a total of four HMAs, including Sand Wash Basin, 45 miles west of Craig. Westin’s images at Sand Wash Basin feature the wild horses that reside in the 158,000-acres managed by the Little Snake Field Office. The herds’ habitat at Sand Wash Basin is affected by increasing recreational use and livestock grazing. Within the HMA there are no fences, allowing the horses to roam freely within the perimeter. 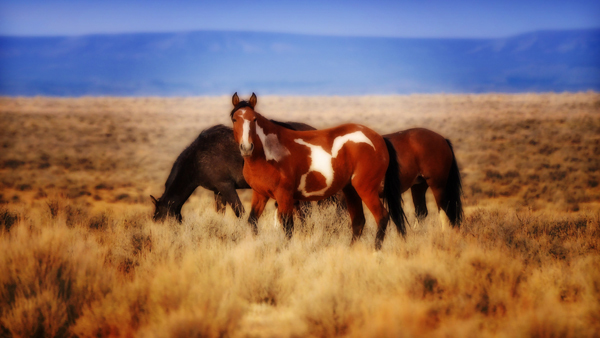 However, unlike a preserve or sanctuary, Sand Wash Basin is multi-use, public land, meaning the horses share their habitat with recreational users and ranchers and their livestock. Westin describes Sand Wash Basin as purely vast. “The photographs are only one little snapshot. It’s the being there that’s magnificent,” explains Westin. He admits the difficulty of capturing the awesomeness and immensity in one photograph. In Sand Wash Basin, the land varies from rolling hills to steep ridges. The climate is typical of the Rocky Mountain Region and can be harsh, with temperatures over 100 degrees Fahrenheit in the summer and below 30 degrees in the winter. 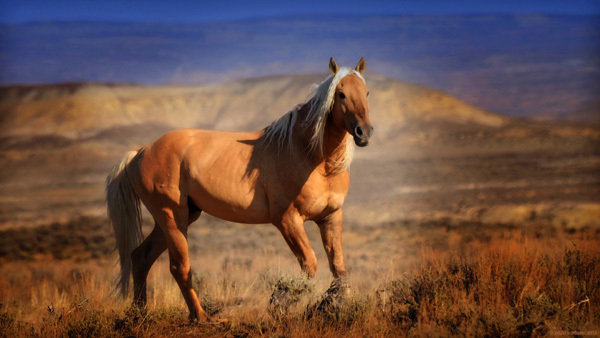 Americans often associate the wild horse with independence and freedom, characteristics that, as a nation, Americans identify with and value. 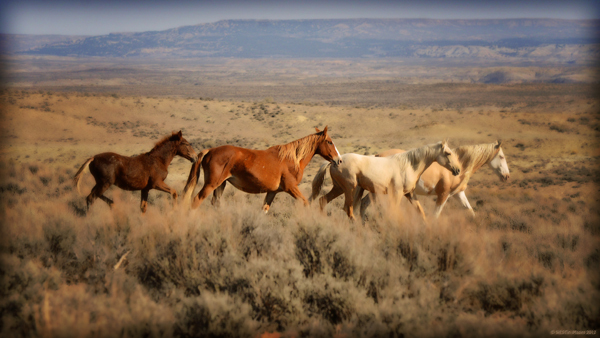 As a component of national identity, many believe the wild horse needs to be protected. Under the 1971 Wild Free-Roaming Horses and Burros Act, the BLM aims to manage, protect, and control wild horses and burros on public lands. 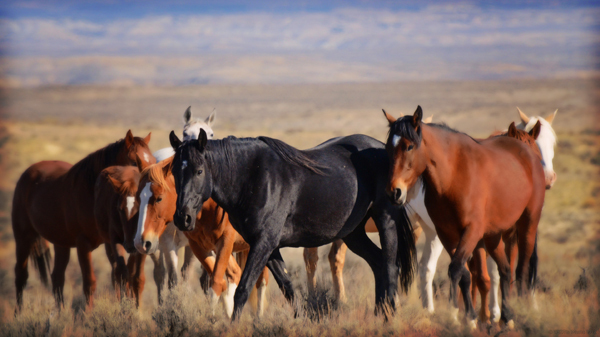 It is because wild horses and burros are considered “living symbols of the historic and pioneer spirit of the West” and “they contribute to the diversity of life forms within the Nation and enrich the lives of the American people” that this Act was mandated. 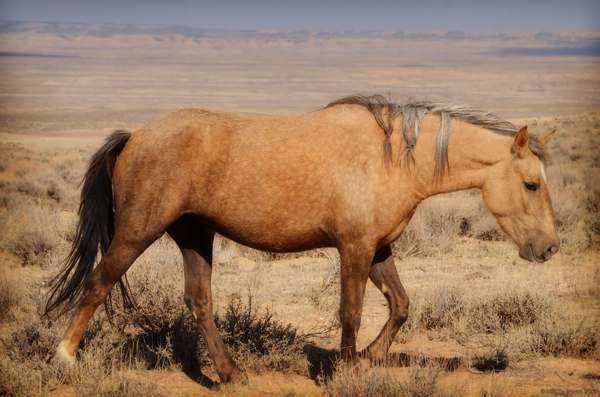 However, there is much controversy over most effective way to manage wild horses. Below this wonderful photo journey, I've outlined some helpful articles to further educate and spark discussion on this current and important issue. Visitors who come to view the wild horses are asked to respect the horses, view them from a distance, and be sure not to camp near their water sources. 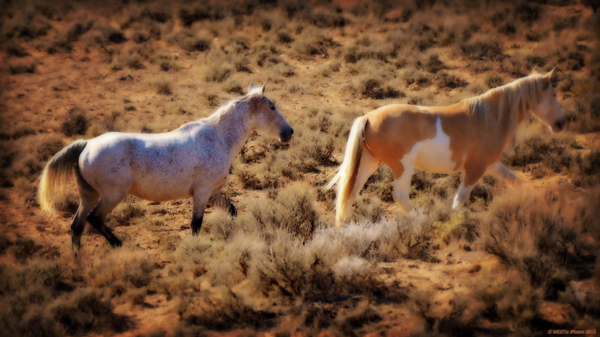 According to the latest data available in February 2013, the BLM estimates there are over 40,000 wild horses and burros on 34 million acres of public land managed by the BLM. 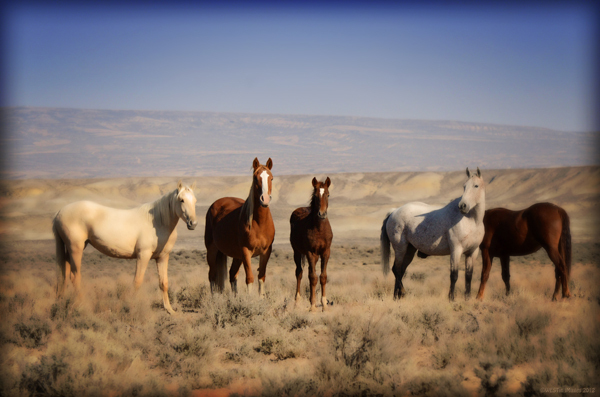 The horses at Sand Wash Basin are known for their variety of colors including paints, grays, bays, red and blue roans, sorrels and other color variations. In 1971, the original population of horses within the HMA was 65. 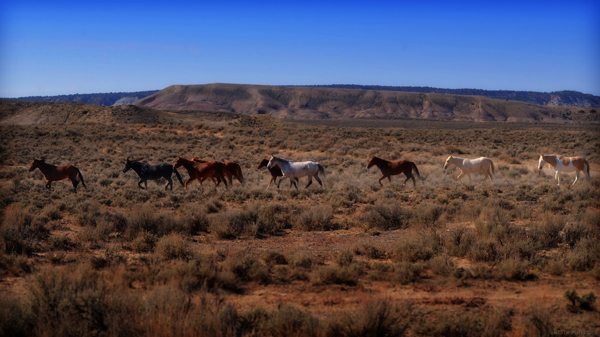 The BLM currently manages between 163 to 362 wild horses at Sand Wash Basin. 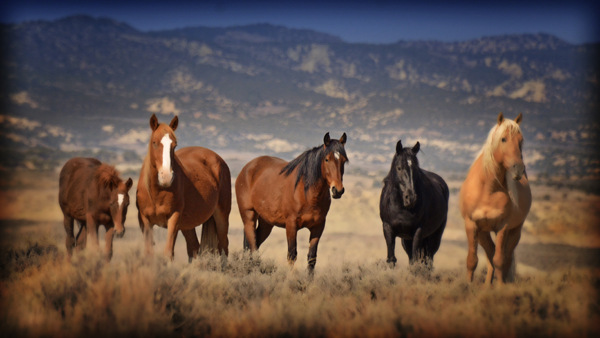 Bands of wild horses can be found throughout Colorado's four unique wild horse herd management areas: Piceance Basin/ East Douglas Creek, Little Book Cliffs, Spring Creek, and Sand Wash Basin. This horse with wind knots in his mane reminds Westin of Eeyore, from A.A. Milne’s "Winnie-the-Pooh." 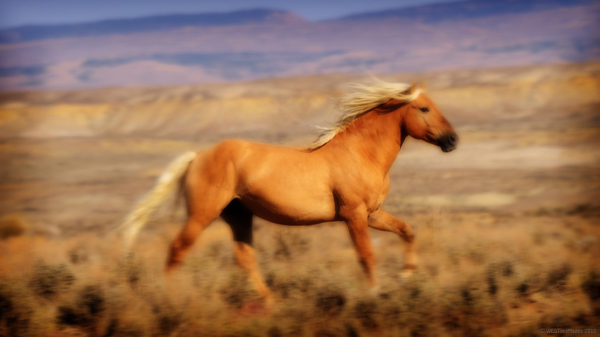 Wild horse running free in the grasslands of Colorado's Sand Wash Basin. How you can go: Interested in visiting the Sand Wash Basin? Learn more at the BLM Colorado Sand Wash HMA Information site. 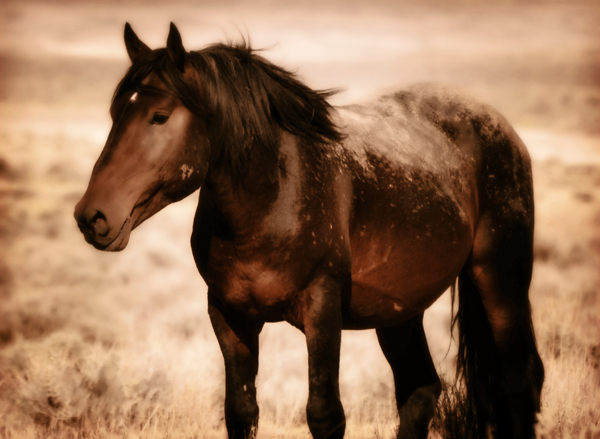 A descriptive video from The New York Times that looks at the history of the wild horse in the United States and the impact of the 1971 Wild Free-Roaming Horses and Burro Act. 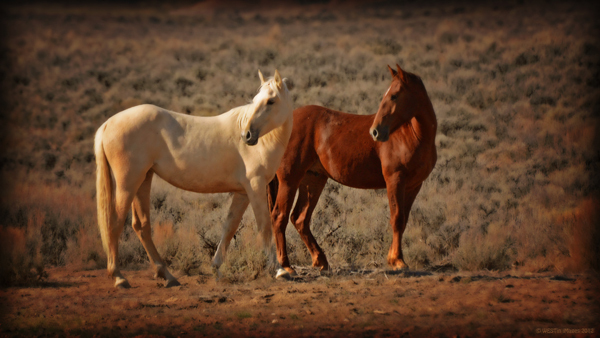 The National Academy of Sciences (NAS) has recently issued an independent scientific report that criticizes the methods of the BLM’s Wild Horse and Burro Program. 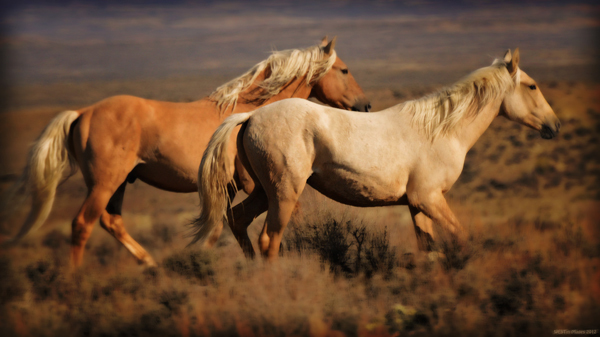 This article by Andrew Cohen in The Atlantic reviews the report and hypothesizes the reaction of new Secretary of the Interior, Sally Jewel and her future policies for wild horses. 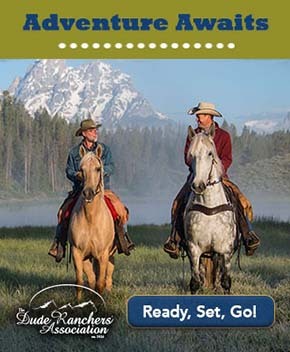 The Bureau of Land Management’s site for the National Wild Horse and Burro Program, complete with news and information. 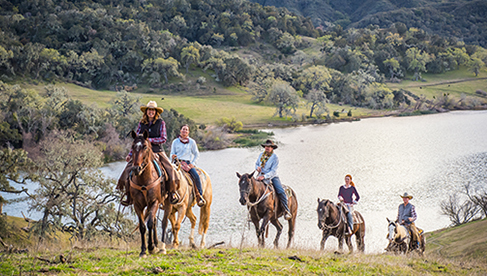 The Cloud Foundation is a nonprofit organization dedicated to the preservation of wild horses, which grew out of filmmaker and advocate Ginger Kathrens’s chronicle of wild stallion, Cloud. 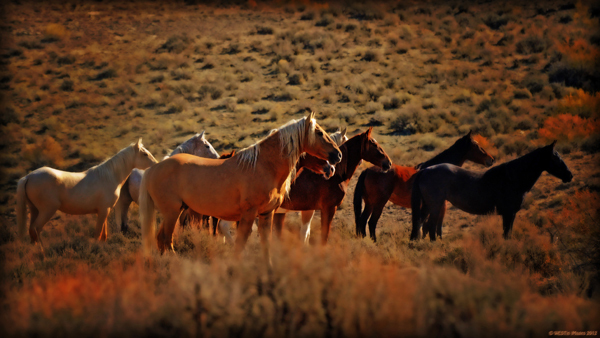 This site has helpful and current articles and resources for getting involved the wild horse issue. About the Author: Jocelyn Pierce is an avid equestrian and lover of travel and photography. Her passion for adventure has led her on numerous excursions throughout North America and Europe. When she’s not riding and competing her homebred mare, she enjoys hiking, camping, and snapping photographs.